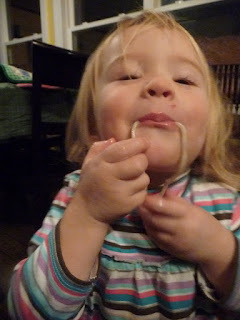 Everybody loves chow mein. Right? I used to live with Anne and Woody when I was a teenager and this dinner was one that I looked forward to. Especially because the leftovers were even better than the dinner. 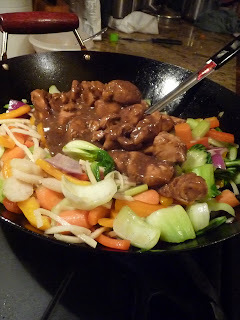 You can use whatever you want in chow mein. 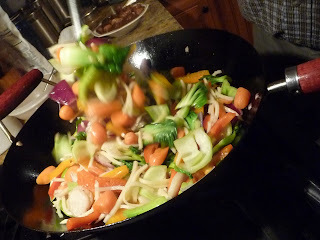 This night we had chicken, bok choy, celery, carrots, water chestnuts, and bamboo shoots. 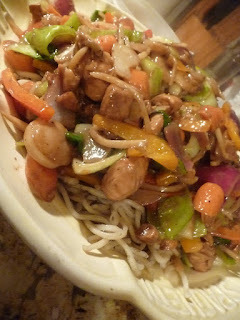 And of course noodles. 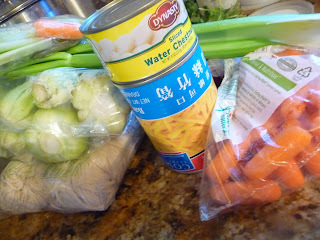 You can get fresh chow mein noodles in the produce section, get them at an Asian market, or, if you are in Sacramento, check out New World Bakery–fresh noodles, won ton wrappers, and fortune cookies. Good stuff. 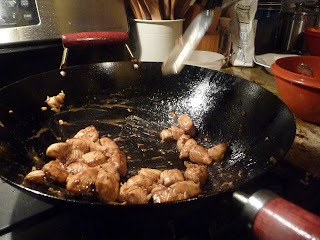 So, first Woody cut up the chicken and marinated it in some soy, cornstarch and sherry. 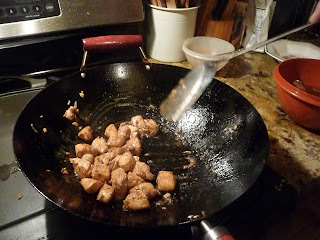 Then he stir-fried the chicken until it was mostly done—don’t overcook it! It’s going to sit and continue to cook—then set aside. Put it back into the marinade/sauce if you like. 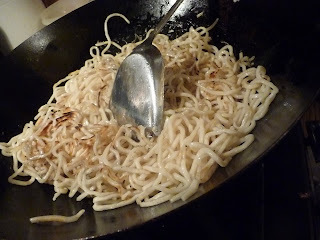 Next, stir-fry the boiled noodles in a couple Tbsp of oil. It’s nice to let it sit for a minute or two–you can even press down on them a bit–so they get a bit charred. 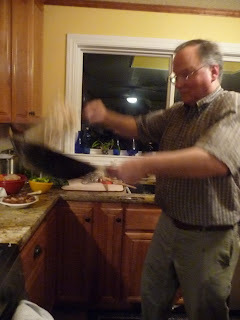 If you’re feeling adventurous, try flipping the noodles in the air. But if they fall on the floor, or fall into your stove’s burners, don’t blame me. When they’re done, set them aside. 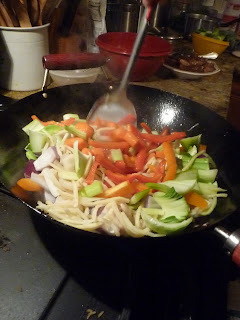 Next, add another Tbsp of oil and stir fry the vegetables that will take longest to cook. Onions, peppers, carrots, the white part of the bok choy. Set aside when done. 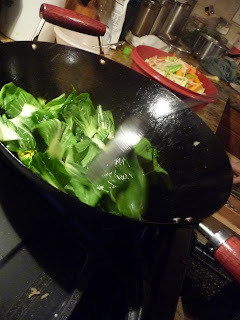 Last, quickly stir fry the green part of the bok choy. You don’t add them with the other stuff or it would wither and be gross. Now you can add back all the other veggies. 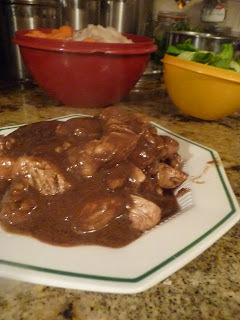 Next back in the pool is the chicken and the sauce. Then the noodles. Toss through and devour. No recipe needed. Send me a message if you want anything clarified.